It feels great not to waste things, doesn’t it? As someone with a passion for composting, I’ve always loved the satisfying feeling of giving something back. But when it comes to products, the scale of stuff that society gets through seems overwhelming, and it can be hard to feel good about the things we buy. So I was excited to learn more about the global push to help more people repair items they own, to make them last. 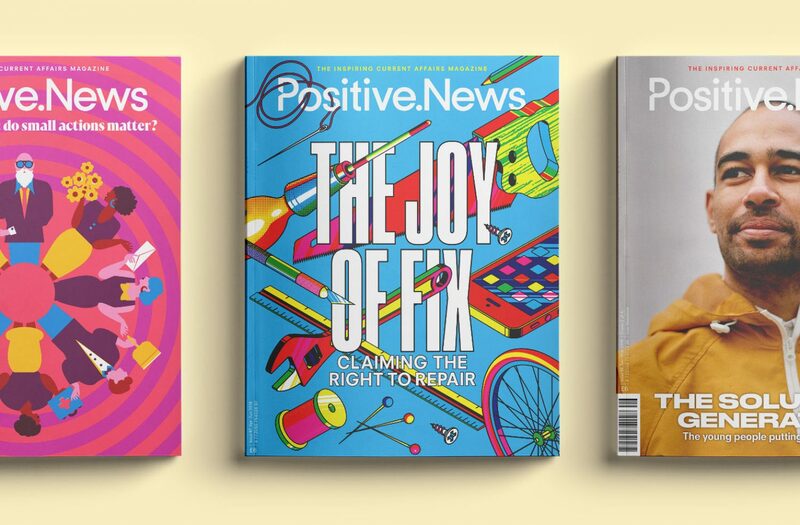 At the forefront are fixers, modifiers and hackers who share their knowledge and skills to help people counter a sense of futility in the face of consumerism. It’s a movement characterised by collaboration, a can-do attitude and inclusiveness. You don’t need to be a tech whizz or inherently practical; if you can hold a screwdriver you can give it a go. Another gentle rebellion is happening on the high street, where independent bookshops appear to be quietly flourishing. Those we meet in our feature have created valuable community hubs, as well as shops, and local people are lapping them up. By offering a personal, adaptive service, these booksellers are acting as agents of culture in a tumultuous time for the British high street. UK restaurateurs face tricky times too, but that hasn’t stood in the way of the ‘sustainable dining’ movement gathering pace. We meet the passionate foodies who find that running planet-friendlier operations unleashes, rather than stifles, culinary creativity. When it comes to unexpected change, I love the story of the two unlikely collaborators, from very different backgrounds, who joined forces to bring LGBT education to Scotland. Another narrative being rewritten is the one surrounding black men in the UK. We report on projects that have been launched to celebrate black men and dismantle negative stereotypes. We also meet the man behind the Kugali anthology for African comic writers and artists, who is on a mission to publish authentic stories of the continent. Elsewhere in this issue, whether it’s the groups that are renaming public streets and landmarks to better reflect modern values, the artist who celebrates near-forgotten vegetable varieties, or the inspiring human rights campaigners in Brazil, you’ll read about people who are showing how things can be fixed. And you don’t need to be a do-gooder to do something. 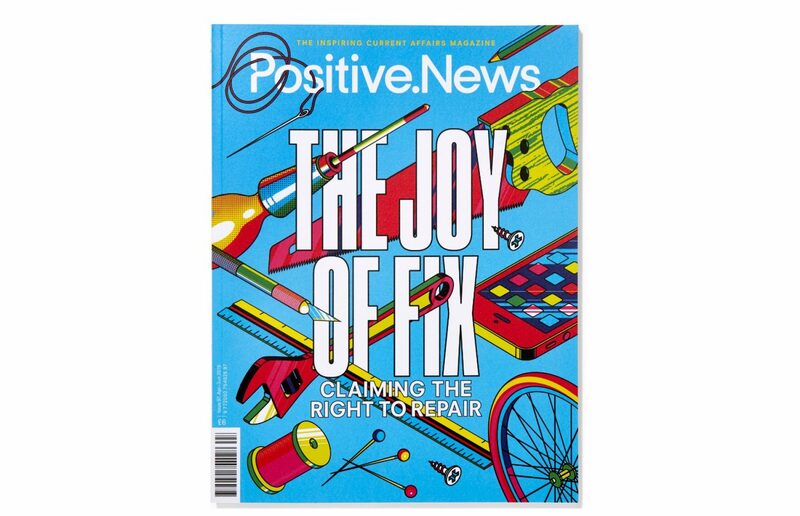 So, whether this issue of Positive News moves you to pick up a screwdriver, to shop or invest your money in a way that reflects your values, or to opt for an ethical option next time you eat out, I hope it inspires you to do something, however small, that feels positive to you.